Post-U.S. Withdrawal from Syria: What Will Become of the Kurds? In an unexpected move, the U.S. administration declared in late December that it would withdraw its troops from Syria, propelling its key allies, the Kurdish-led Syrian Democratic Forces, into a new and dire dilemma for survival. 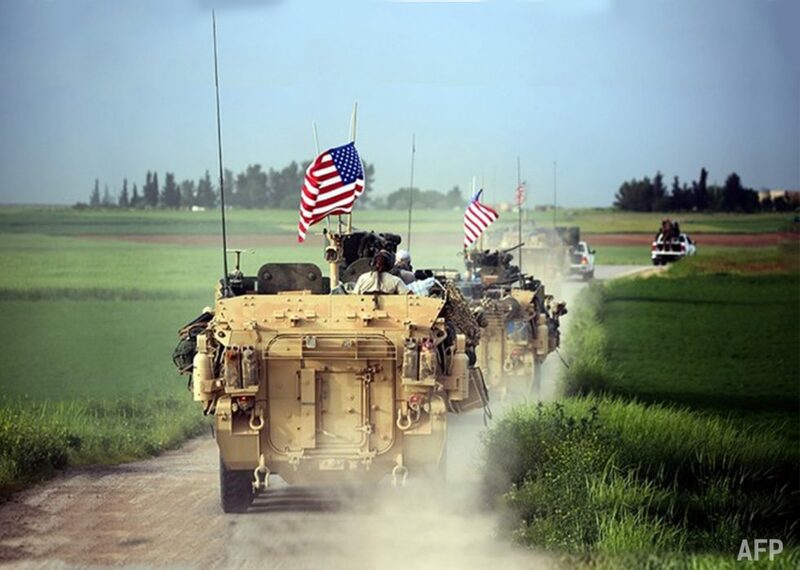 US forces, accompanied by YPG militants, drive their armored vehicles near the northern Syrian village of Darbasiyah, on the border with Turkey. For more than two years, the Kurds have fought effectively against the so-called Islamic State, also known as ISIS, under the financial and military auspices of the United States. In return, this arrangement was meant to lead to the establishment of an autonomous Kurdish region in northern Syria, cementing legitimate political power for the Kurds. President Trump’s alarming decision on December 19, 2018, has shaken the Kurds, who see the move as a new betrayal. However, President Trump’s alarming decision on December 19, 2018, has shaken the Kurds, who see the move as a new betrayal. They are now scrambling for new alliance with either Russia or Syria to salvage their precarious position between a hostile Turkey and a battered but potentially resurgent ISIS. When U.S. Special Operations troops entered Syria in 2015 to fight the Islamic State in the region, the Kurdish-led militias that soon united to form the Syrian Democratic Forces (SDF), willingly joined forces with the Americans. They showed their loyalty as key allies of the U.S. in Syria. 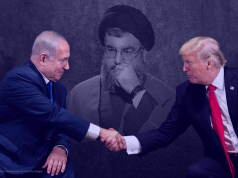 Since then, they have been looking forward to maintaining autonomy within Syria with American support, even though the U.S. not recognize the Kurdish independence referendum across the border in Iraqi Kurdistan in 2017. The abrupt move by Washington is seen as a step toward a new protracted battle in the Syrian territory between the Kurds and Turkey. Turkey believes the Kurdish People’s Protection Units (YPG), which is a primary component of the SDF, to be allied with the banned Kurdistan Workers’ Party (PKK) in Turkey, and thus a “terrorist group” that poses a threat to its government. Ankara’s angry statements have prompted U.S. officials to undertake a tour of the region to mitigate the Kurds’ fears of an attack by Turkey. U.S. Secretary of State Mike Pompeo told Kurdish leaders in Iraq’s semi-autonomous Kurdistan region on January 9 that Syria’s Kurdish fighters will remain safe and shielded from Turkish military threats. On a trip to Israel and Turkey, National Security Advisor John Bolton reiterated that the U.S. withdrawal would ensure safety for its Kurdish allies. He added that he would stress Syria’s Kurds protection in talks with President Erdogan. Despite the U.S.’s vows, Erdogan did not mince words, criticizing Washington for aligning with the YPG. “The U.S. apparently does not know them [the YPG],” said Erdogan. “These terror organizations do not represent my Kurdish brothers. If the U.S. sees these groups as [representatives of] my Kurdish brothers, they are seriously mistaken.” He further dismissed the U.S. pledge to protect the Kurds. In response to Erdogan’s comments, U.S. President Trump threatened Ankara warning of serious consequences in the event of a Turkish attack on the Kurdish forces. “Starting the long overdue pullout from Syria while hitting the little remaining ISIS territorial caliphate hard . . . . Will devastate Turkey economically if they hit Kurds,” Trump wrote on Twitter. Subsequently, Erdogan appeared to be abating tensions between the U.S. and Turkey. Following a “quite positive” phone call with Trump, after an ISIS-claimed suicide bombing killed four Americans in Kurdish-controlled Manbij, Syria, Erdogan announced that Turkey was ready to take over security of the area. The Turkish president did not provide any information about the U.S. request to protect the Kurds and the White House did not disclose Erdogan’s offer to take over in Manbij. As if that were not ominous enough, the Turkish president did not provide any information about the U.S. request to protect the Kurds and the White House did not disclose Erdogan’s offer to take over in Manbij. Erdogan only highlighted that he had reached “a historic understanding” with his American counterpart. This is not the first time that the U.S. has betrayed the Kurds. In 1972, at the request of the Shah of Iran, former U.S. President Richard Nixon backed the Kurds, supplying them with arms to defend against Iran’s neighboring enemy, Iraq, which then enjoyed a close relationship with the Soviet Union. At the time, the Kurds did not trust the Shah’s backing alone. They were looking for support and alliances and, while the Shah had offered help, they believed in the U.S.
A CIA document released in 2004 revealed that the intelligence agency smuggled $16 million worth of untraceable Chinese and Soviet weapons through Tehran to the Kurds, who then fought the Iraqis to a standstill. However, because of the strong alliance between the American administration and the Shah, when the Shah signed an agreement with Iraq, ending their dispute, the Kurds later found themselves defenseless. 40 years later, following their perennial fight for independence and search for backing, the Kurds are still looking for protection from Turkey in northeast Syria and support in their confrontation with ISIS in the southeast. As the U.S. has not guaranteed their safety thus far, the Kurds have begun looking for help from Syrian President Bashar al-Assad’s government, with whom they have long been in conflict. In late 2018, the YPG invited Assad’s Syrian Armed Forces to secure Manbij. These forces raised the national flag of Syria in the city for the first time since rebels took control of it six years ago. While the Kurds hope to hold it as an autonomous region, Assad has vowed to regain total control of it. Yet, they are still at odds with Assad over northeastern Syria. While the Kurds hope to hold it as an autonomous region, Assad has vowed to regain total control of it. To shield themselves from both Turkish aggression and Assad’s encroachment, the Kurds have been making overtures to Russia, an Assad-ally, to persuade it to support their claims for autonomy. Unfortunately for the Kurds, the multiplicity of players and their divergent interests makes it almost impossible for them to achieve their longstanding wish for an independent homeland, especially at a time of widespread regional conflict and U.S. unreliability. 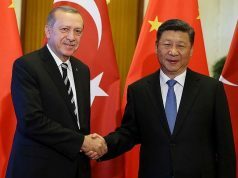 The best that can be hoped for at this time is that they conclude some form of autonomy agreements with both Turkey and Syria within their respective boundaries.